In this week's Restaurant Report Card, we scoured through the most recent health inspection reports, but didn't come across a spot with a perfect score. Andrea Isom paid a visit to three eateries to see why things weren't up to par. 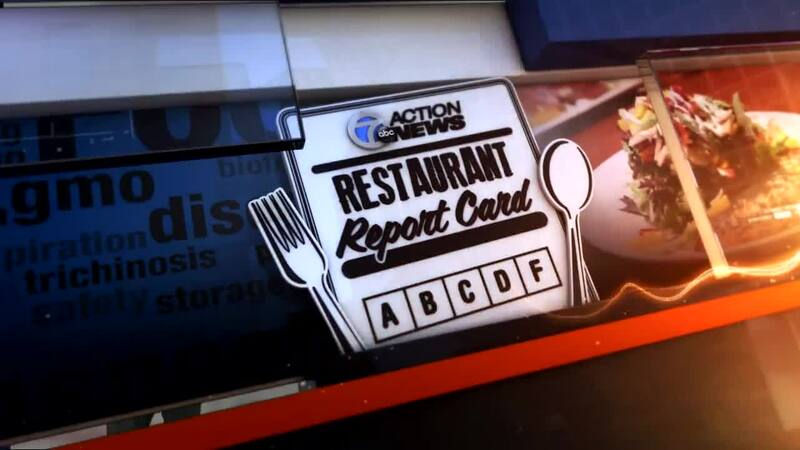 CLARKSTON, Mich. (WXYZ) — In this week's Restaurant Report Card, we scoured through the most recent health inspection reports, but didn't come across a spot with a perfect score. Andrea Isom paid a visit to three eateries to see why things weren't up to par. Our first stop was The Highland House Cafe & Carryout. They say it's a fast-food environment, but with really good food. On their last health inspection, they had four priority violations. One was for the cooler, one for chicken wings and garlic dip not dated properly, but they say they have fixed the cooler and dated the items. Now, the manager is telling his employees to get their act together and clean everything. Next up was Sagano, a Japanese bistro which had nine priority violations on the last health inspection. Those include raw salmon over cooked eel, chemicals stored next to spices, and employee not using soap after washing his hands. The owner on the phone didn't fold, saying the priority violations have been corrected and employees either trained or re-trained. Finally, we went to Subway on Dixie Highway, which had five priority violations, including bathroom cleaner stored next to pop, and the staff's personal items not placed where they should be. Check out her report in the video player above.